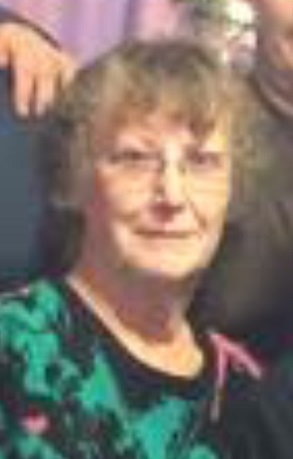 Irma Jean Hudson went to be with the Lord on April 1, 2019. She was born in Bronaugh, MO on October 5, 1939 to Lyle Webster and Katie Ann Short. She was the last of 10 children. She suffered from many medical problems but kept going. She graduated from Bronaugh High School in 1957, met her husband and there they were married on August 17, 1957. She was baptized in 1953. She belonged to the Martin Luther Lutheran Church in Lee’s Summit, MO. She worked at the school as an aide, belonged to the League of Women Voters, Christian Women’s Club, worked with the Cub Scouts for 18 years and enjoyed helping others. She enjoyed spending time with her dad in his Blacksmith shop, gardening, cooking, fishing, ice-skating, games, helping her parents, writing poems, kept journals on all the family members. She collected shells, greeting cards, and traveled all over the U.S., Canada and Mexico with her family. She was in all her husband’s and children’s activities. She was preceded in death by her husband Lawrence H. Hudson, father, mother, 4 brothers, 4 sisters, all of her grandparents, aunt and uncle, and several cousins. She is survived by her sons Duane and Jeff, wife Sarah, Victor, wife Teresa, several nieces and nephews, sister-in-law Martha, 9 grandchildren and 30+ great-grandchildren and step great-grandchildren. She liked to can, baking thousands of cookies and bread for gifts at Christmas. She graduated from a candle making school. She felt very blessed by her family and enjoyed them all. She thought so much of all her family and loved each one so much. She will go to meet the Lord very happy for he gave her a great family. Visitation will be 6-8PM, Thursday, with funeral services 10AM, Friday, both at Park Lawn, 8251 Hillcrest Rd. ; burial in Memorial Park Cemetery. We are so sorry for your loss ad so glad we were able to come up for a visit, Great memories!! Our Prayers are with you all during this time of loss. Please keep in touch. We are so sorry for your loss. We are glad we were able to take Dad up to see Irma Jean last year to spend time with his closest sister. We are praying that the Lord will comfort you and flood your hearts with loving memories. With love in Christ, Dave and Kathy Short.